Having grown from a quiet backwater to becoming one of the leading Middle eastern tourist destinations, UAE is home to some of the fastest growing and most dynamic cities of the world. You can find world’s largest man made islands, world’s tallest building, as well as some of the world’s best shopping centers right here along with traditional Arabic culture and a history that dates back to thousands of years. 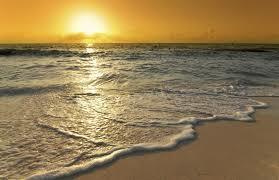 The place is full of crowded shopping malls as well as secluded sand dunes that will make your holiday memorable one. However, most of the people are aware of either Dubai or the Abu Dhabi regions of the country. The country has much more to offer than that. In fact, there are a total of seven emirates that make up the country. Though the most well known among these is Dubai, others are equally fascinating and are well worth a visit. Consisting of some of the most beautiful stretches of lush green mangrove forests dotting the Persian Gulf shores, Umm al Quwain is like a peaceful heaven with rolling sand dunes accompanying the fertile oasis surrounding the Falaj Al Moalla. 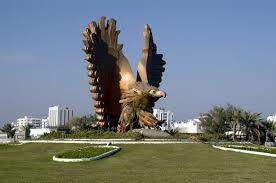 Said to be one of the most peaceful of all UAE Emirates, the place is free from the hustle and bustle of city life. However, that does not mean that the place is devoid of attractions. The place is home to world’s largest aquapark known as Dreamland as well as the first UAE aviation club that is world known for its skydiving and parachute championships. There is also the Corniche for those who love to smoke shisha accompanied by the sound of waves. Not only this, you can make your holidays much more memorable with traditional Arabian adventure activities such as camel racing, falconry as well as sailing in addition to the regular water sports activities such as kayaking, jet skiing, wind surfing and water skiing. Though a little dusty and chaotic compared to the other UAE Emirates, Sharjah has a unique charm for all the tourists. Being the third largest of all the seven emirates, Sharjah is the only one of all to have lands on both the Persian Gulf and the Gulf of Oman. Located just next to Dubai, the place is much cheaper compared to its neighbor and has many attractions worth visiting for its tourists. There is the Heritage area located near the Burj Avenue that has some of the most exciting and interesting sites of the emirate. In addition to this, there are also various other museums and desert parks that you can visit. The place is also a treasure haven for those looking to sample some of the Middle eastern delights as delicacies and drinks are available all over the city at very cheap prices. However, the emirate, also known as ‘dry emirate’, forbids sale or possession of alcohol in any form. Located on the easternmost corner of UAE, Fujairah is the youngest of all emirates considering it became independent from Sharjah in 1952. It is also the only emirate to not have a coastline along the Persian Gulf. The place has witnessed rapid growth in terms of social and economic development recently though the place is yet to be noticed much on the tourism radar. However, this makes it all the more attractive for those who yearn to escape the mad tourist crowds and look for peaceful places to unwind. The place is home to the oldest mosque of UAE that was built in 1446 with mud and bricks. Some of the other interesting places to visit in the emirate include the Fujairah fort as well as a museum located right next to it, though construction of a heritage village is underway. However, if you like to enjoy sunny beaches and practice sea activities, it is best to go to the city of Diba where you get to hire a boat to visit the islands that lie in the Gulf of Oman. All things considered, Fujairah is more suitable as a base stop from where you can go on to further trips rather than anything else. Nestled between the Persian gulf and the Hajjar mountains, Ras Al Khaymah shares its borders with the Oman Sultanate. The place has a fascinating topography what with the clean white beaches fringing the calm beaches, dramatic sand dunes along with the majestic Hajjar Mountains, all at one place. With various beautiful wildlife conservatories and sanctuaries as well as numerous tourist landmarks, the place is fast becoming one of the leading tourist destinations of UAE. To add more to its appeal, with the completion of the new Emirates highway, the place is now just an hour away from Dubai. Some of the must see attractions of the place include the Al Jazirah Al Hamra, Khatt Springs, Prehistoric Shimal, Dhayah village, Ras Al Khaimah National Museum, the Old City, and various others. The place is well worth a visit if you like to enjoy camel races, camping, picnics, desert safaris, quad biking as well as various other adventure activities. 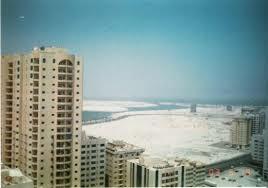 Considered to be the smallest of all seven emirates, Ajman is located smack in the middle of UAE as a whole. This makes it highly accessible with roads leading to it from Sharjah, Dubai, Umm Al Quwain along with the main Emirates road. In addition to spectacular sunny white beaches with cool blue waters lapping, the place is home to many a designer outlets as well as dining options. There is also a traditional Iranian souq where you can buy some interesting domestic goods as well as pottery options that are sure to make your trip worthwile. For those looking for some historical fun, there is the Ajman Museum as well as an old fort that was built in 16th century where you can see the different artifacts as well as the reconstruction of traditional life. Alcohol is easily available in this emirate and is served in many hotels and restaurants. One of the most progressive and modern emirates of UAE, Dubai is a popular tourist destination that is essentially a desert city with exceptional infrastructure, liberal policies and excellent tourist amenities. With just 5 hours away from Europe, the place makes for a great place for partying, shopping, sporting events, sunbathing and various other sinful pleasures. 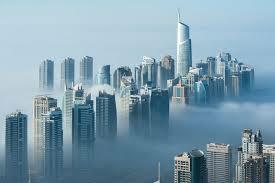 If you are looking for the biggest, the fastest, the highest and the largest, Dubai is the place. In fact, with the largest immigrant population of the world, the place hardly seems like an Arab emirate once you land into it. The place has so many attractions that they can hardly fit into a list. The place is home to Burj Dubai, Jumeirah Museum, the Gold Souk, Burj Khalifa, the Dubai Fountain, Palm Islands and various others. In addition to these attractions, the place is also a popular shopping destination what with the spice souks, diamond park, Jumeirah Town Center and several others. There is also the Dubai Shopping Festival that has some of the top world brands coming in to present amazing deals to the customers. In terms of dining to, the place has many multi cuisine options with several leading world food chains having their outlets in the city. 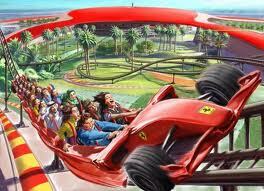 In short, the place is a world in itself with both international and traditional attractions on offer. Largest of all emirates, Abu Dhabi is also the capital of UAE. In addition to this, the emirate is also the first among its counterparts to export oil in 1962. In fact, its long coastline that stretches over the shallow waters of Southern Gulf and were once considered to be the world’s best waters for pearling. 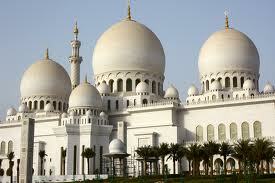 This emirate is also the most populated of all with some of the world’s largest sand dunes. These offer a great opportunity for Desert safaris and other sand adventures that make for a complete Arabian adventure. In addition to some of the finest hotels, the place is also home to delicious Arabic gastronomical delights that are sure to put your taste buds in a party mood. 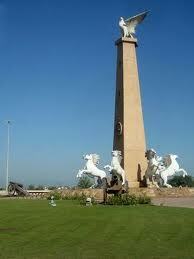 Though the place is much more conservative compared to Dubai, it does not lack in any way in terms of attractions. The place has Sheikh Zayed mosque which is counted amongst the most beautiful mosques of the world, Ferrari world which is the first theme park of its kind to be styled around the Ferrari cars, Al Hosn Palace which is one of the oldest buildings of the city and many others. The place has something for everyone from individuals to couples to families. So come visit UAE and get to experience an Arabian Nights adventure that is full of palaces, sand dunes as well as beaches perfect for any person.